Back when we were living in the U.S., we'd check the weekly grocery store circulars for specials, cut the Sunday paper coupons, and buy everything else at Wal-Mart and Sam's Club. Low price and convenience. Get in and get out. But that was then. 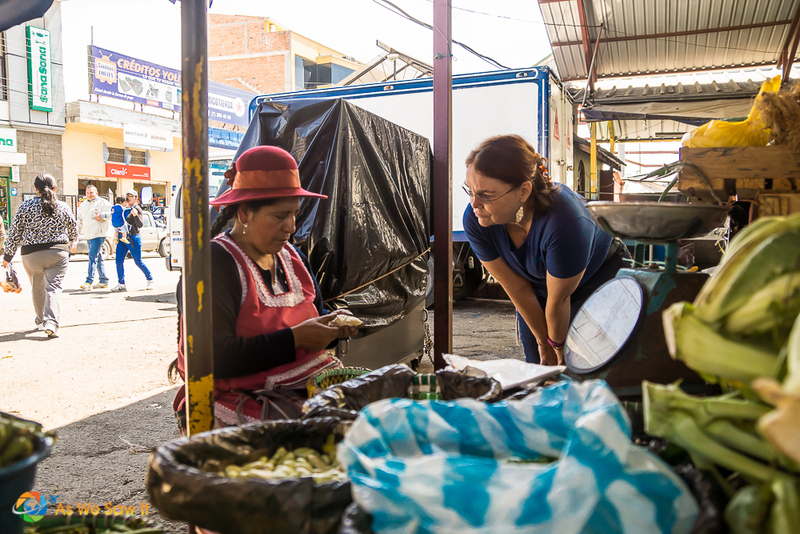 Once we moved to a world with no Wal-Mart and no coupons, we discovered the wonderful world of local markets. Every country has them, of course. 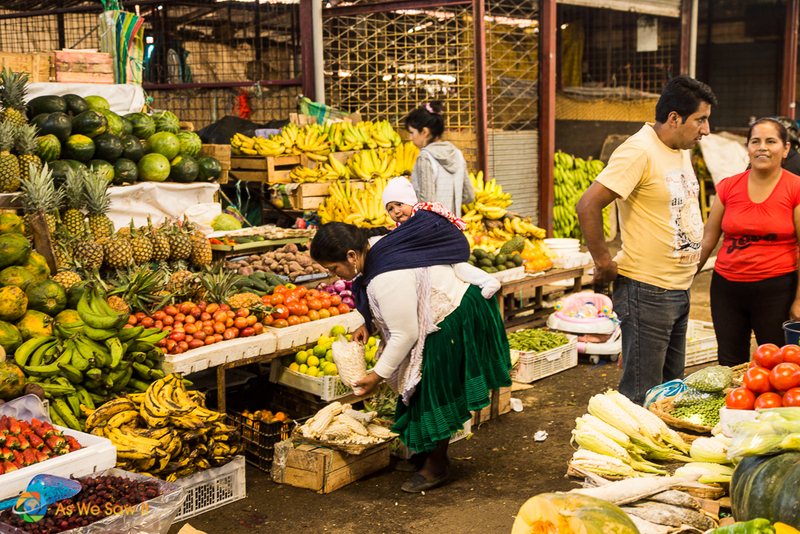 When we moved into our apartment in Cuenca, our favorite quickly became Feria Libre, Cuenca's largest indigenous market. Feria Libre (literally the Free Fair, or Free Market) is where people from the local area shop. Spread over acres of land, it is open every day of the week. It's a fabulous place, full of bustle, color and atmosphere. This is one of those colorful places where a photographer might wonder if he had died and gone to heaven. Don't be a tourist, participate! 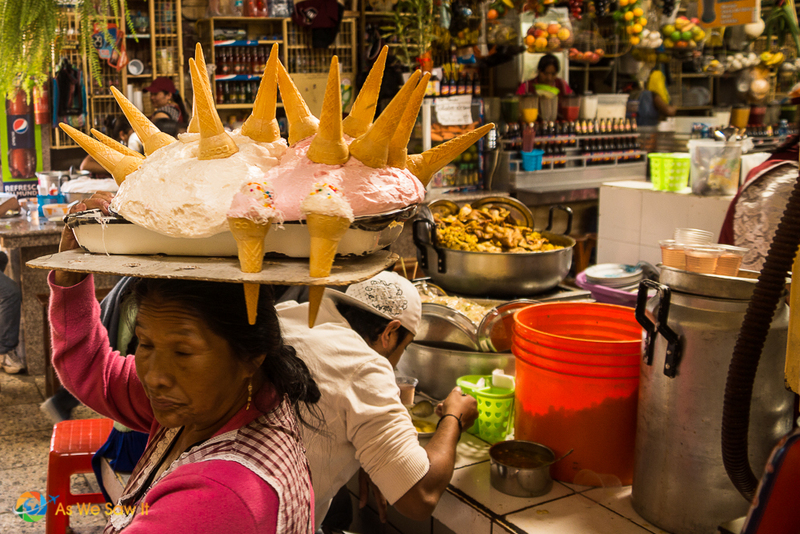 If you enjoy haggling, and don't mind crowds and carcasses, you'll find that Feria Libre is a fascinating experience and a fun place to shop. It's even better if you can speak Spanish, because if you don't recognize something, you can ask a vendor what it is. What else do you get at Feria Libre? 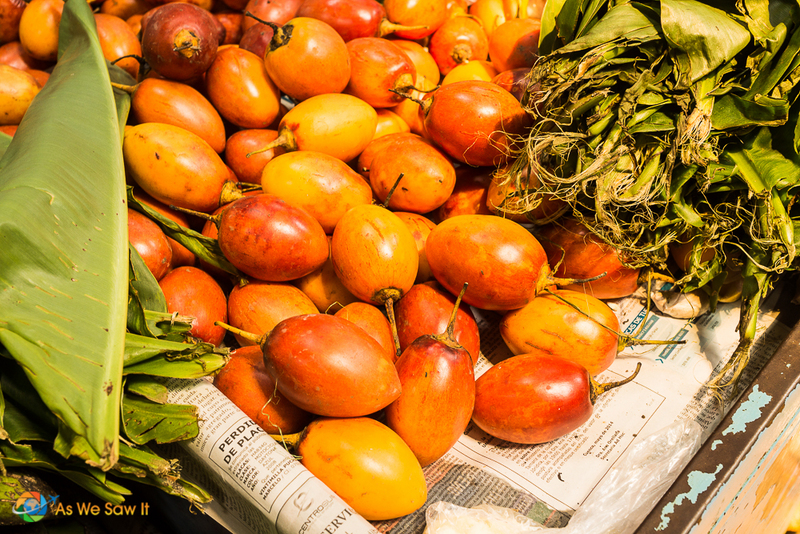 Besides immersing yourself in the local culture, you'll get the absolutely freshest produce at the lowest prices. This is why locals, expats and even tourists shop here. This picture shows the stall where we used to buy freshly ground peanut butter. It's front-and-center in a box on the counter. No jars here. She scoops the amount we want into a small plastic bag and we take it home. This woman offered me 6 Mandarin oranges for $1. Uh, no sale … too bad for her, I knew that locals buy10 oranges for a buck. 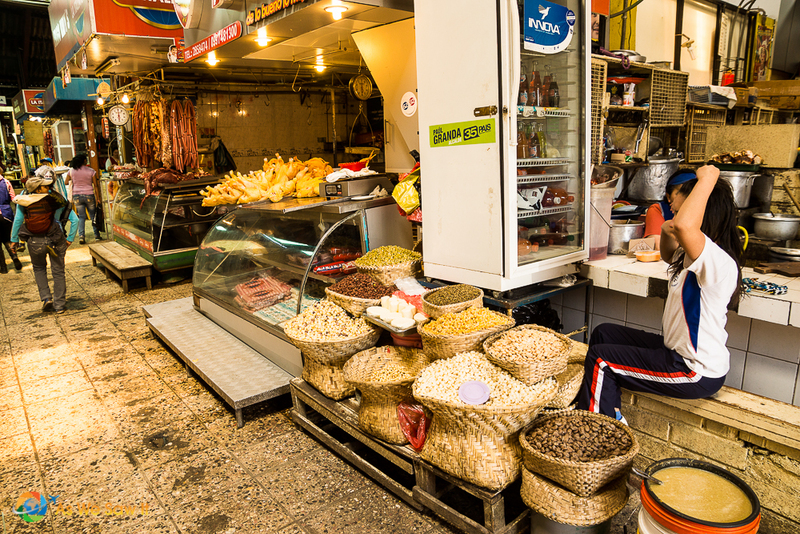 It's best if you try to negotiate (in other words, haggle) like the locals do. Vendors actually respect you more and are happier if you bargain a bit. When you buy a few bags of pre-packaged produce, which sell for $1 apiece, offer a lower price or ask for a yapa (a free, bonus product). 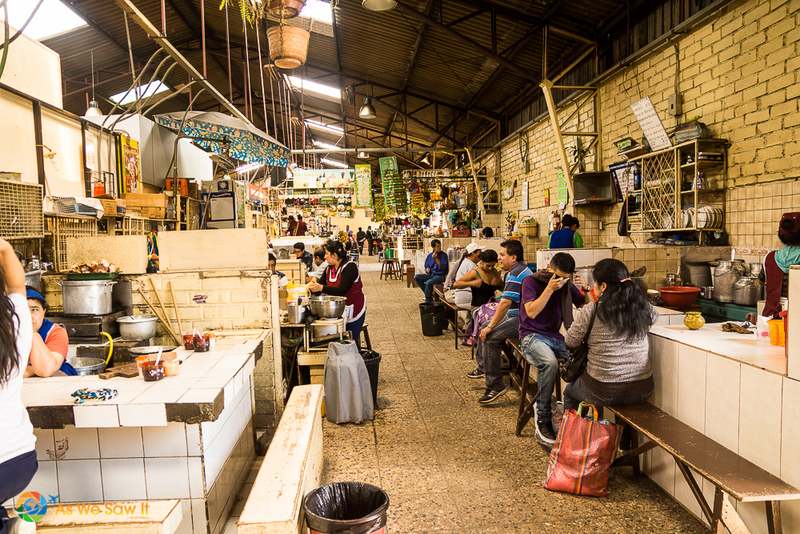 Like most mercados (markets), there are plenty of food stalls where you can enjoy a full meal. 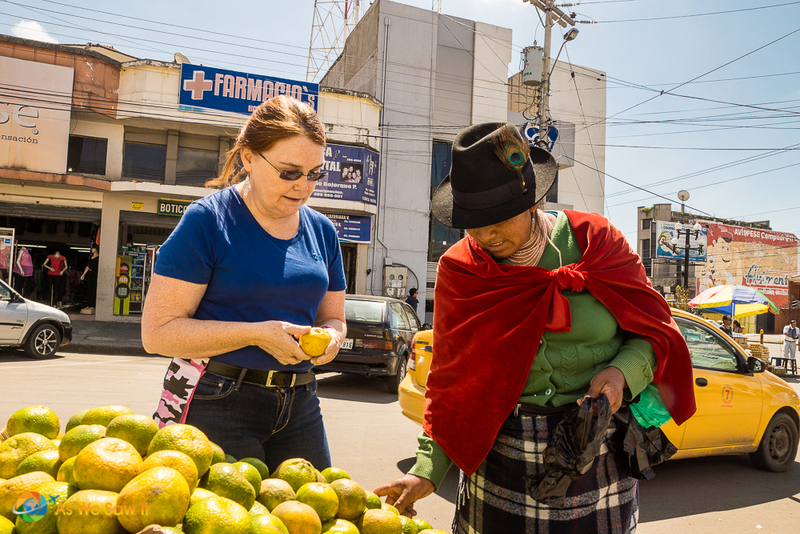 It's mostly local dishes because their clients are Ecuadorians. Think fried fish, soups, or chicken and rice. Whatever they serve, almost every stall will offer aji on the side, a flavorful Ecuadorian hot sauce that's often made with the tree tomato fruit. 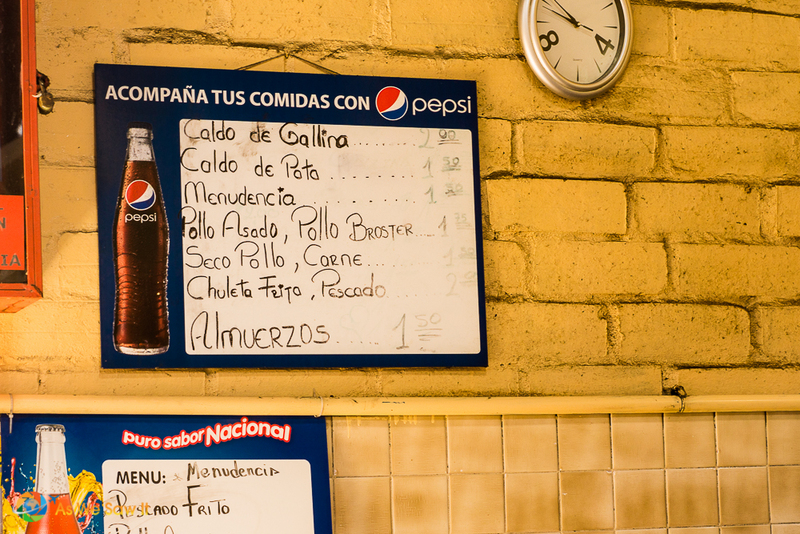 The lunchtime meal is called an almuerzo. At $1.50-$3.00, it's a delicious, cheap and filling option. Gutted guinea pigs always seem to have a grimace. Who can blame them? 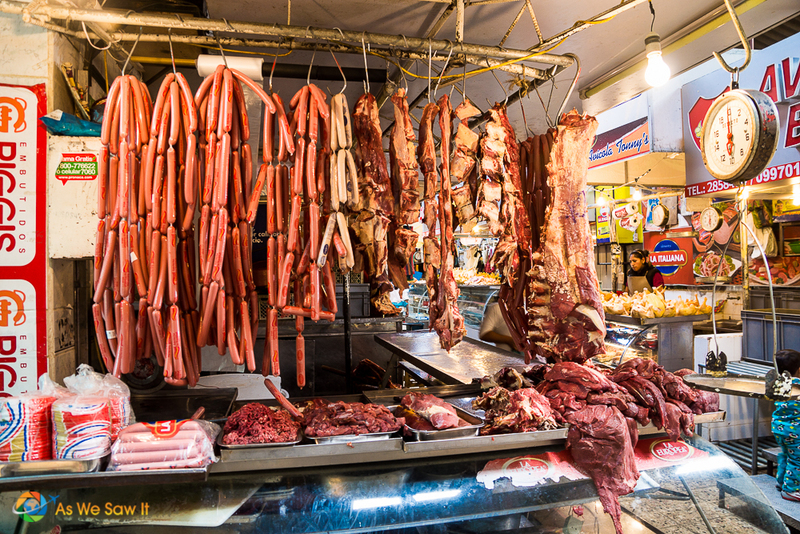 Pork is a popular food item in Ecuador. 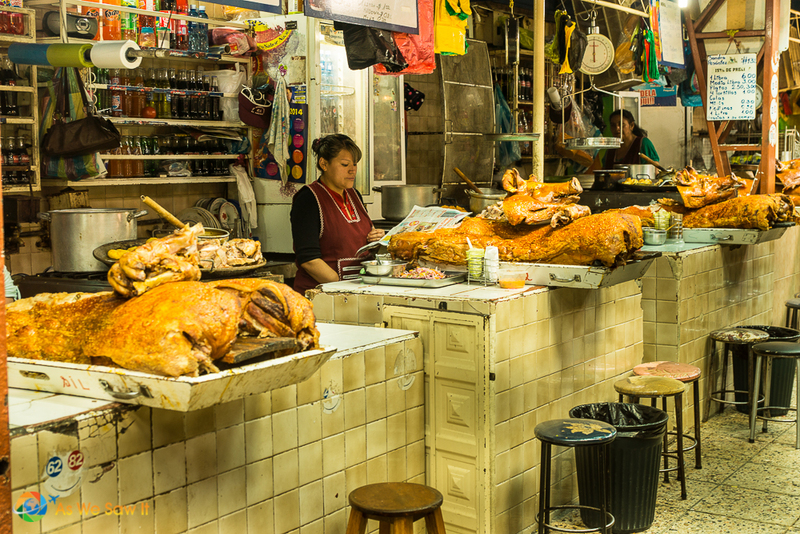 You should know that Feria Libre has a whole aisle-ful of vendors selling roasted pig. They don't look happy, either. But then, they eat guinea pig, too. 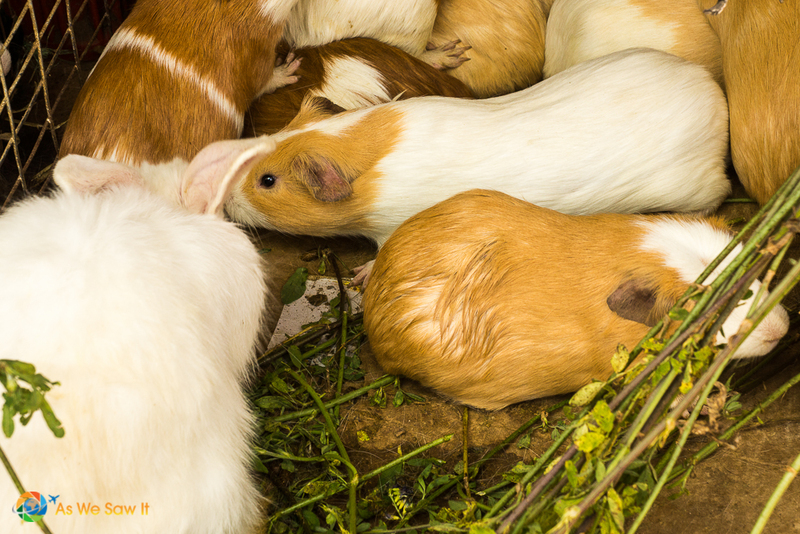 Guinea pigs are food, not pets, in this part of the world. They call it cuy. How about an Ecuadorian snack? Another fun thing to do is to try some of the snacks, such as espumilla (a sweet meringue treat made of egg whites), which is served in an ice cream cone. or maduros con queso (grilled bananas sprinkled with local white cheese). As you walk through the fruit and vegetable sections you may see something new. Don't be afraid to ask, “Que es eso?” (What is this?) and “Es este dulce?” (Is this sweet?). If you're feeling a little more adventurous, say “Puedo comprar y probar?” (May I buy and try?) They'll be happy to show you how to eat it, if it means a sale. When is the best time to go to Feria Libre? On Wednesdays and Saturdays, buses carry people in from all over the surrounding area to do their weekly shopping. Because the market is packed with people, we strongly recommend that you wait to visit at another time so that you can avoid all the pushing and shoving. But in any case, whenever you go, crowds tend to thin out in the afternoons, too, so there's a little more room to move around and take pictures. 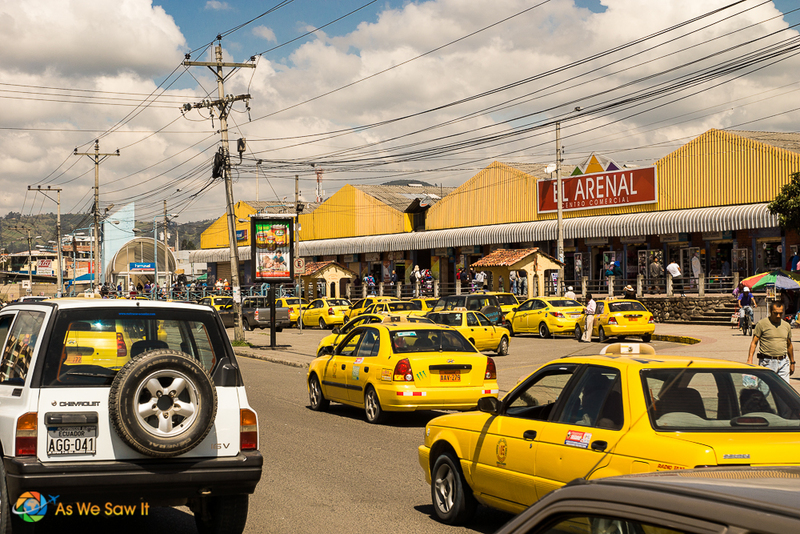 Taxis in front of Feria Libre, a.k.a. El Arenal, during a less busy time. 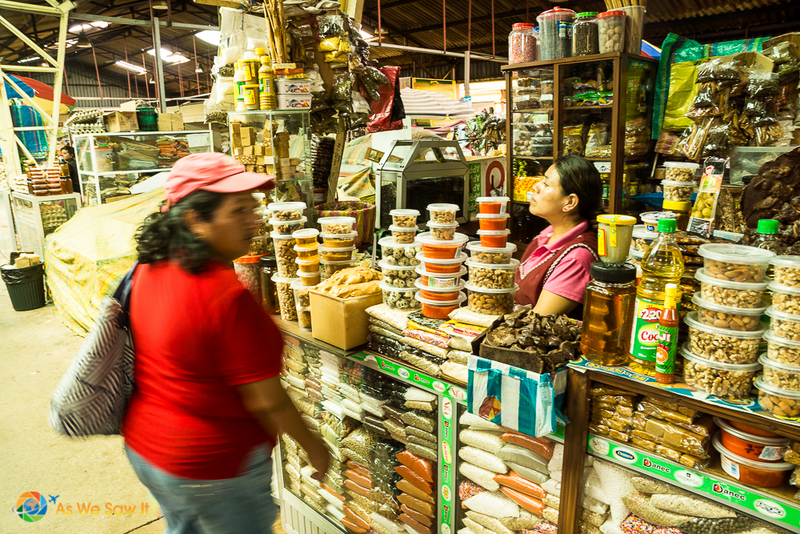 After reading an expat blog post about the market, I asked a local friend if Feria Libre is dangerous. 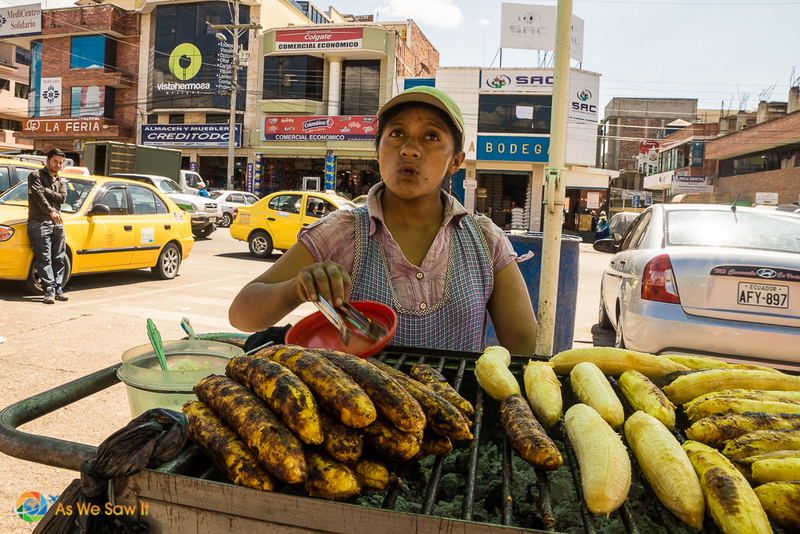 She said that although Cuenca has little violent crime, pickpockets like the market when it's really crowded (namely, on Wednesdays and Saturdays). Any other time, she said, it's “mas tranquila” (more calm). From our experience, though we've only gone during the busy daylight hours, we've never felt unsafe at all. Dan walked around with his expensive, high-tech Sony camera gear in full view, and no one gave it a second look … except for those locals who didn't want their pictures taken. Enjoyed reading your articles. I do not speak Spanish, and interested in retiring to Ecuador. I’m widowed, and your information has given me much to think about now in my old age. I’m glad you’re finding our articles informative, Rudy. 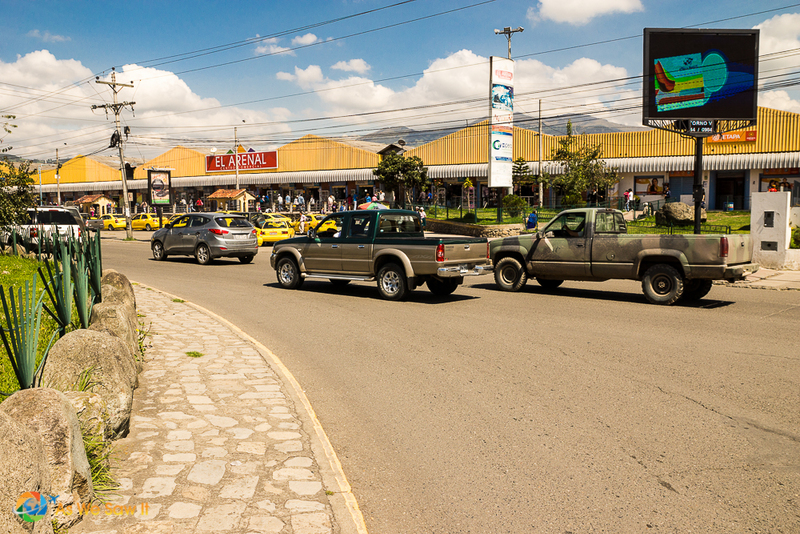 Cuenca is a great expat destination. Yes! No Wal-Mart and no coupons means real food and real experiences. Also, grilled bananas with white cheese??? WAT? ?